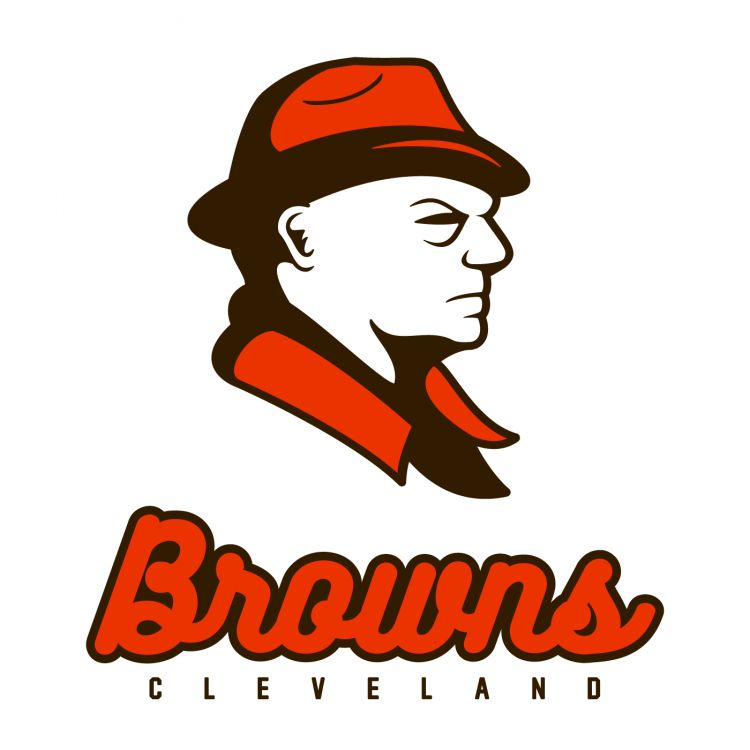 The most underappreciated portion of this concept is the cleaning up and modernization of the Browns script. I love the concept! 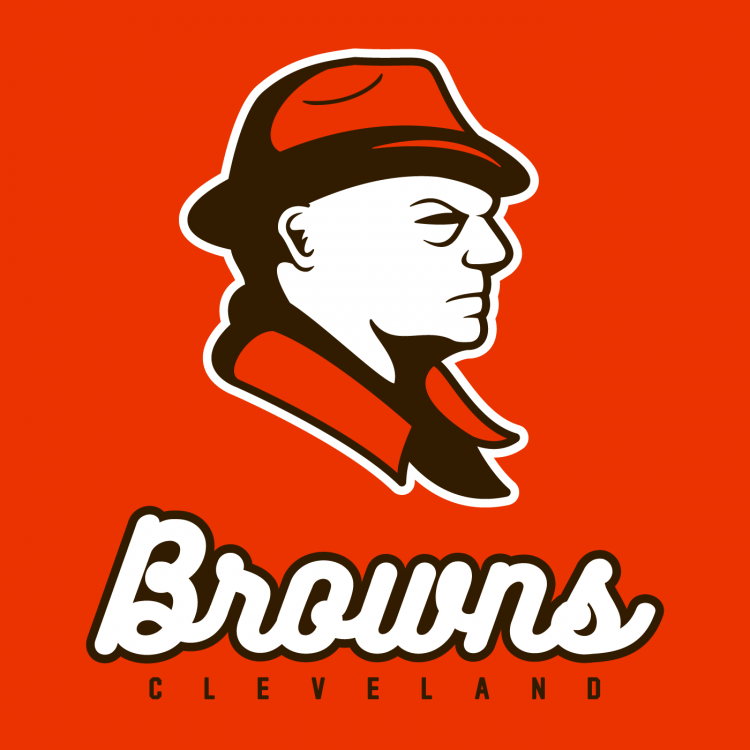 I have been meaning to do a Tom Landry logo like this for years... there might be a smidge more detail than there needs to be in the ear relative to the rest of the design. My Landry concept (in my head) uses the shadow cast by the hat to imply some details on his face, just for efficiency's sake... but you have done a great job of capturing his appearance with minimal details! The stores wouldn't even be able to hang up the stock before it was sold. That is absolutely awesome. This is BRILLIANT. 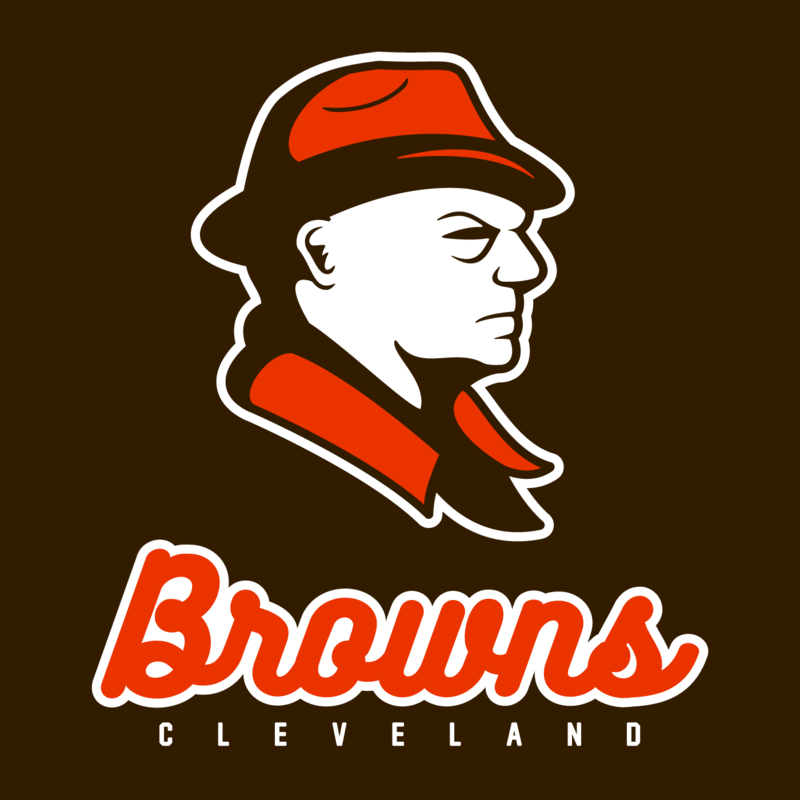 I could maybe finally root for the Browns. That said, I agree with the earlier comment that he's still a bit Mr. Magoo-looking. Maybe elongate it a bit and make it not so squat. He's looking a bit bald and round right now. See if you can get a sideburn or something indicating that there is indeed some hair up there, just not a lot of it. And the eye needs a bit more work so that it looks like an eye, and not a squint. It all comes together in that one point which makes it look like folds of skin rather than an eye and brow. Only nitpicking this because I think this is worthy of being perfected and presented to the actual team. I think it's the one concept they'd possibly consider that isn't the brownie or a bulldog or a Pantone square. Not feeling this one for two main reasons. 1. The eye is scary. I know what you were going for but the combo of squint and bags simply doesn't look good. Logos based on real people at hard, because some people have traits that just don't translate well to a graphic medium. IMO this is one of them. It'd work better if he was known for a certain type of glasses or something. 2. The script looks very awkward, especially the transitions. The B is especially awkward. I'm not a fan of "scripts" that are really just individual letters strung together, and that's what this is (for example look at the n). It creates these awkward transitions, like the o to w, and w to n.
I can't see that script being used in an end zone or on a jersey. 3. The ear looks too small. Incredible work! I absolutely love the script -- very clean, with just the right balance between classic and modern. The only improvement to note would be the eye, though as @BringBackTheVet mentioned, that may just be a feature that does not translate well to a graphic medium. Regardless, this is a huge upgrade over their current identity!